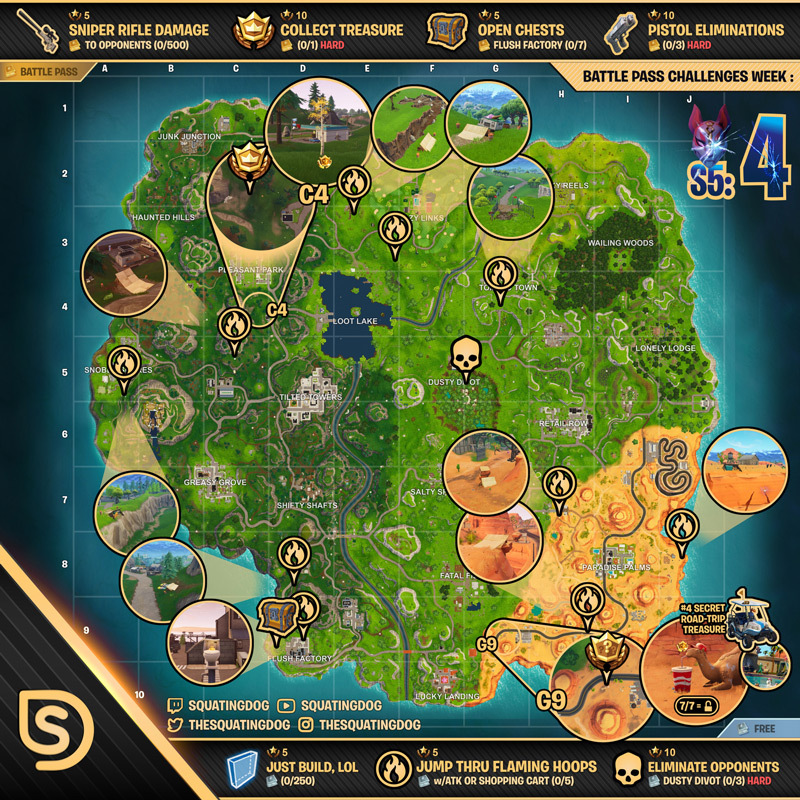 Ready for Seasons 5 week 3 challenges from the battle pass? Check out the all-inclusive cheat sheet below for all the help you will need! Just Build LOL – uhm so yeah, just Build, LOL. Pistol Eliminations – Get those dual pistols and have some fun. Jump through flaming hoops – It’s time to get your GTA on! Check out the map for all flaming hoop locations. Eliminate Opponents (Dusty Divot) – Super popular, should be easy. Collect Treasure – Navigate to square C4! Sniper Rifle Damage – Should be easy enough, if you really struggle then just snipe people who are down for the easy completion.